Its longitudinal axis is 60.5 m and its transversal axis is 39.5 m long. The northern tower of the dome is 58.5 m tall. Construction of the church proceeded under the royal supervision in several stages from 1380 while some assert that it is still not finished. Originally, the church was designed as a five-nave basilica. Under the pressure of natural disasters and wars the resulting form was different; it became the five-nave dome with crossed nave. 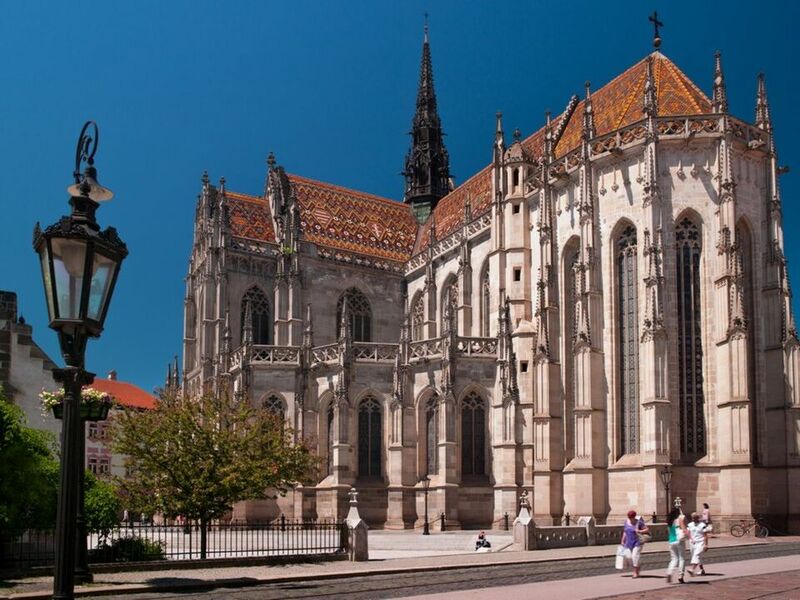 In spite of adjustments in new styles after fires and earthquakes in the 19th century the Cathedral of Košice preserved numerous original Gothic elements and valuable artistic features. They include, for example, the wonderful northern portal with the tympanum representing the Last Judgement. The medieval gargoyle in the south-western corner of the church is also interesting. It is supposed that it has a form of woman, in particular the wife of the famous royal constructor Stephan. This is how he allegedly punished his wife for drinking too much wine. 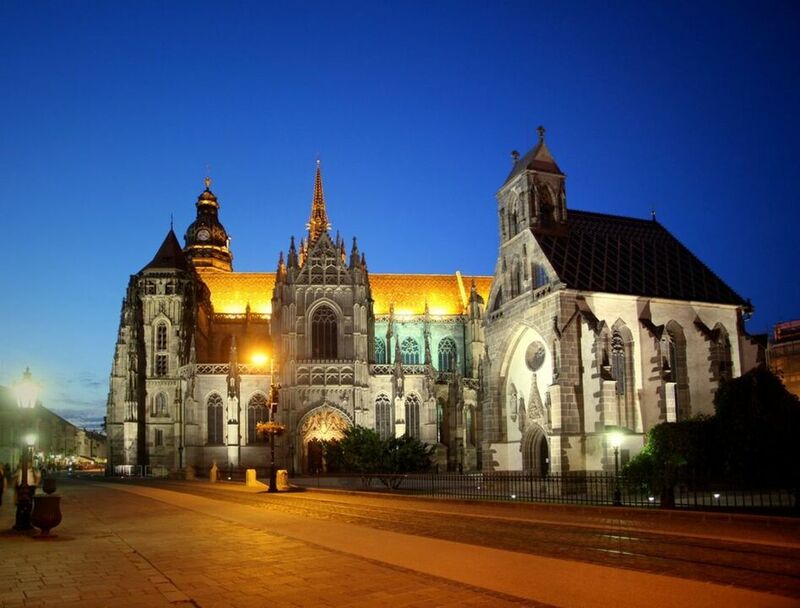 Special attention must be paid to the main altar of St Elisabeth built in the years 1474-1477. It contains the largest European set of 48 Gothic table paintings. Dutch and German influence on the sculptures and paintings is obvious. Liturgical objects include the most valuable works of important goldsmith J. Szilassy from the 18th century, which are classified as the national cultural monument.